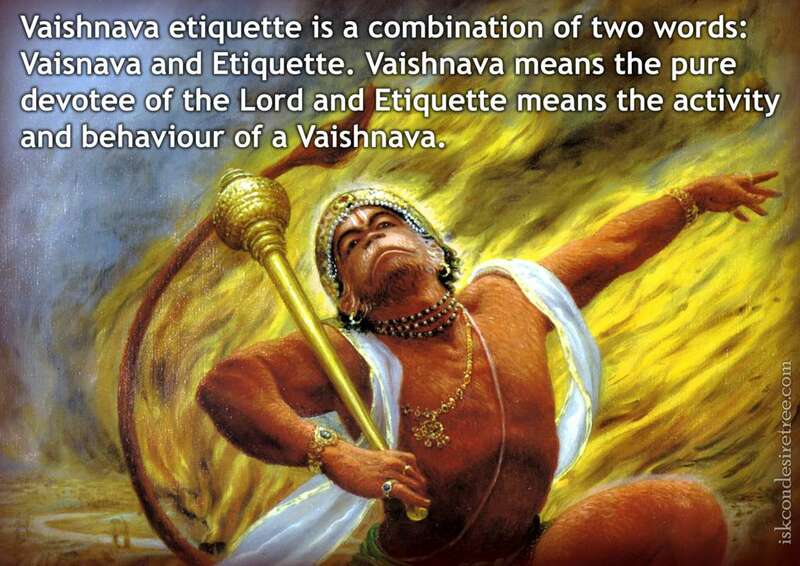 Vaishnava etiquette is a combination of two words: Vaisnava and Etiquette. Vaishnava means the pure devotee of the Lord and Etiquette means the activity and behaviour of a Vaishnava. One may get liberation very easily, but love of Krishna is very difficult actually. For pure love of Krishna, one has to avoid offending the holy name and the vaishnavas. Also to avoid offences you need to observe the proper Vaishnva Etiquette. The etiquette is actually there to help us to avoid committing an offense. Vaishnava Etiquette is very much about details; Details about satisfying Krishna.